The RYA Day Skipper Shorebased course will give you a comprehensive knowledge of seamanship, navigation and meteorology. The course is suitable for sailors and motor boaters. By the end of this course you should be competent enough to theoretically navigate around familiar waters by day. No previous experience is required however any practical knowledge you have is desirable. The course is taught over 40 hours with two exam papers. The course covers the basics of inshore and coastal navigation, position fixing, chartwork, planning, collision regulations, lights and buoyage, safety at sea, electronic navigation and pilotage. You will be coached over the RYA Day Skipper theory syllabus by one of our experienced RYA instructors. 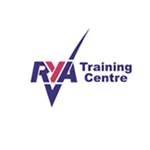 We have five different options for completing the RYA Day Skipper theory course. 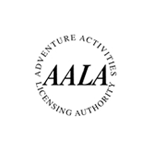 Consecutive days: A non-residential course available over five days commencing either a Saturday or Monday at 0930h and ending approximately 1730h Wednesday or Friday. 2 day weekend: commencing Saturday at 0930h and ending approximately 1700h Sunday. Evening Classes - Evening classes take place at East Anglian Sea School - Starting October each year - 10 weeks before Christmas and 10 weeks after. The Day Skipper evening class takes place on Wednesday from 1930h - 2130h. 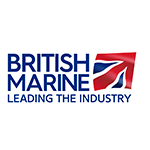 Combined Theory & Practical (9 days) - The first 4 days are spent learning the theory in the classroom (non-residential) followed by the remaining 5 days on board (residential) putting into practice what was learnt ashore whilst it is still fresh in your mind. Distance Learning: Correspondence course online - Work through the syllabus anywhere in the world at your own pace with our distance learning option. Definition of position, course and speed.